This month I had the opportunity to take an inside peek into the direct sales company, Sseko Designs. 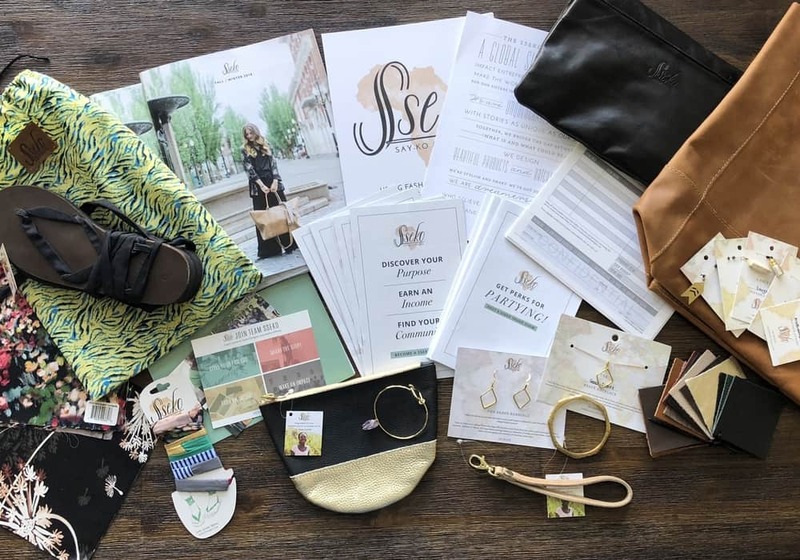 If you're not familiar with Sseko Designs, they are a fashion brand that sells leather handbags, sandals, jewelry, apparel, and accessories made by women in Uganda, Kenya, Ethiopia, and Peru. Sseko Fellows (Consultants) earn up to 30% commission on personal sales and up to 10% on their team’s commissionable volume. But what makes Sseko Designs different from other direct selling opportunities? Read on to find out more about this philanthropic business opportunity for fashionable women. Liz Bohannon (Sseko's Founder) wanted to use her privilege to help make the world a better place for girls across the globe. But she had NO idea how to do this. So, she decided to quit her first full-time job in the U.S. and move to Uganda — with no plan, no money, and no job! During her travels, she met an incredible group of intelligent women in Uganda who tested into college but couldn’t afford to go. So, Liz hired three of these young women, (Mary, Mercy, and Rebecca) and promised them that if they made sandals for the nine-month gap between high school and college, that they would be able to attend college in the fall. Liz came back home to the U.S. and started doing exactly what Sseko Fellows are doing to this day: Sharing the Sseko story and selling cute, fashionable products at Trunk Shows in living rooms across America. With Sseko's program, aspiring college-bound women in East Africa can gain work experience and employment to earn money for their college education. To date, Sseko has enabled 100 women to continue to university. Sseko also employs a diverse group of women for full-time, regular employment. You can find out more about each university bound student here. Sseko's products are hand-crafted by women in Uganda, Kenya, Ethiopia, and Peru from ethically and locally sourced materials. Their flagship product, the Ribbon Sandals come in four different colors of leather with interchangeable cotton straps that can be tied in hundreds of different ways for varying looks. Since their start, Sseko has branched out with other sandal styles, boots, apparel like kaftans, shawls, blouses, and blazers, jewelry, leather handbags, purses, and wallets, as well as accessories. Products range in price from $9.99 for a Charm, to $69.99 for a pair of Crossover Sandals, up to $599.99 for the leather Voyager Travel Bag in Steel Hatch. All products come with a satisfaction guarantee. If for any reason you're unhappy with your selections, you can exchange or return them within 60-days or the order date. Shipping for returns and exchanges is free of charge. As a Sseko Fellow, you can earn 20-30% commission on personal sales, plus an additional 6-10% commission when you build a team. You also receive up to 50% off of Sseko products, and you can earn trips (including one to Uganda to see their factory in person), as well as free products! ✔️ Sseko Designs pays Fellows once a month via PayPal. ✔️ Your Sseko website is free for two months, and then after that, it costs $9.99 a month. You can also choose not to have a site and instead use their online portal where a customer will have to select the Fellow's name at checkout. ✔️ Fellows can sell products through at-home trunk shows, catalogs, and online. ✔️ To incentivize trunk shows, hostesses earn 15-25% (based on total sales during the event) in Sseko credit. ✔️ To remain active, you must sell at least $500 in products every six months. After six months of less than $500 in personal sales, a Fellow is retired. 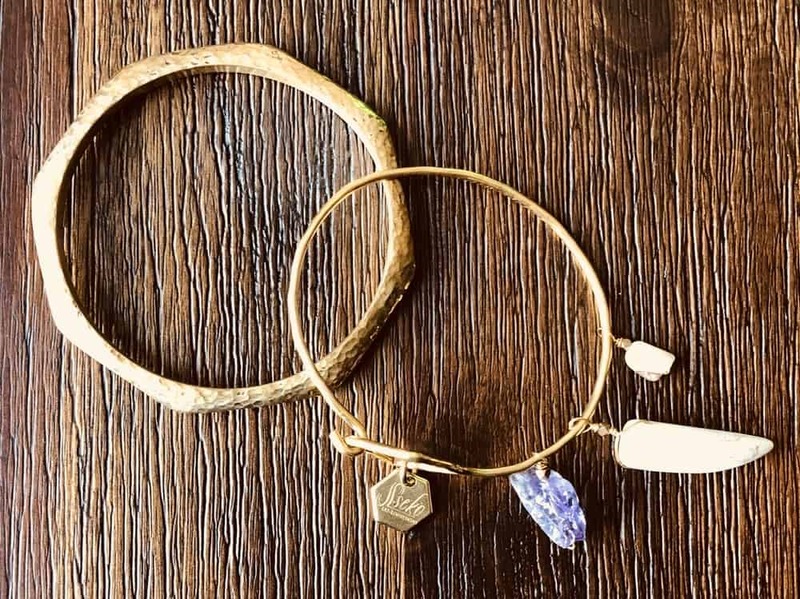 ✔️ Sseko Designs comes out with two full-lines of new products in the spring and fall. They also unveil a few limited edition capsules during the year, usually during summer months and before the holidays to generate excitement and sales. ✔️ Fellows receive training online from the Fellows University which has courses to get you off to a simple and strong start with additional training modules like how to social media, and how to have a successful online Trunk Show, and more. ✔️If you're interested in becoming a Sseko Fellow, you must first fill out their online application. With your application, you'll also schedule a time for a phone interview. They do this, so you understand the opportunity fully and to ensure it's a good fit. Once accepted, you'll receive an invitation into the program which allows you to sign the online agreement and purchase your starter kit of choice. Sseko sent me the Pro Kit to unbox so that you can see everything that comes inside in this video below. First of all, I LOVE Sseko's philanthropic mission. Every time I watch the Sseko Way Video (you can view it here) I tear up. I think it's awesome how new Fellows are paired with a woman on the Uganda team, so they can personally see how their efforts are impacting another person half-way around the world. I also love that Fellows can earn a trip to Uganda to meet the women that they're helping. Sseko's products are unique and have an upscale boutique feel. The craftsmanship is high-quality and the materials are ethically sourced. All of Sseko's products contain the name of the woman that made them, and you can view these women's profiles on the website. It gives you a real sense of the impact that Sseko is making in the lives of these women. They have products geared for women and men. You can personalize their leather goods with different colors, monogramming, and embroidery options. Many of their products can be worn multiple ways for different looks. Sseko's starter kits and commission structure are comparable to other direct selling companies. I would think, however, that your trunk show average would be slightly higher than average because their products have a higher price point. Sseko Designs is a reputable company that has an A+ rating with the Better Business Bureau. They're also a verified member of the Fair Trade Federation. Sseko has also been featured in the likes of Vogue, Redbook, Oprah, Shape, Fitness, the Huffington Post, the LA Times, among others. 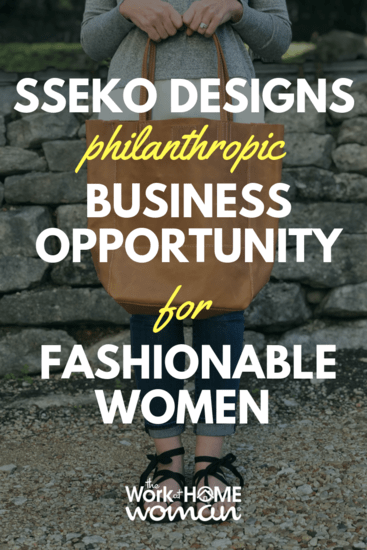 If you're looking for a philanthropic business opportunity within the fashion industry, and you'd like to make a difference in the world, I invite you to check out Sseko Designs. Sseko Designs sponsored this post. Please be aware we only promote advertising from companies that we feel we can legitimately recommend to our readers. See our disclosure policy for further information. Would it be somehow against the rules to sell Sesko products on EBay? That is correct, Daphne! There are many other ways to sell Sseko product!